Councillor Catherine Murphy is an independent candidate in Kildare North. 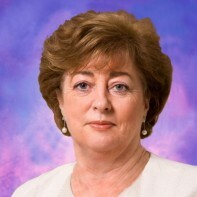 First elected to Kildare County Council in 1991, Murphy has worked as a full-time political representative for over twenty years. During this time, she has been elected under the banners of the Workers' Party, Democratic Left and the Labour Party. Murphy was elected to Dáil Eireann in a 2005 by-election held to fill the seat left vacant by Charlie McCreevy's appointment as European Commissioner. She narrowly missed out in her attempt to retain her seat in 2007, pipped to final spot in the four-seater by Fine Gael's Bernard Durkan. Murphy has served as the Cathaoirleach of Leixlip Town Council on three separate occasions.